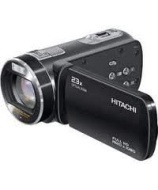 alaTest a collecté et analysé 43 avis de consommateurs et d'experts pour le produit Hitachi DZHV595E HD Camcorder - Black. La note moyenne du produit est 4.4 sur 5, tandis que les autres Caméscopes ont une note moyenne de 4.0 sur 5. Les testeurs apprécient la taille. Après analyse des notes de consommateurs et d'experts, de l'âge du produit ainsi que d'autres facteurs, et comparé aux autres Caméscopes, le Hitachi DZHV595E HD Camcorder - Black obtient un alaScore™ de 83/100 = Très Bien. Quite impressed with the HD picture. Great value when the specification is compared with similarly priced camcorders. Good size to capture moments in time. worth the money little slow on start up easy to use and good still on 16 mp. sound not bad and fits well in the hand for use . picture good on tv . not bad. After looking around and researching reviews online this camera is the best deal that we could find and would recommend to all who need a small handycam . started my search for a camera at Argos, via on-line and catalogue, after visiting several other on-line/high street retailers, returned to where I started, Argos for the best deal I believe was available, and more than happy with the purchase. This HD Camcorder is so easy to use - you don't have to read the instructions! There is nothing fussy about this camcorder. Super light weight, takes video as well as a very good still picture, which is why I bought this item for a Christmas present.